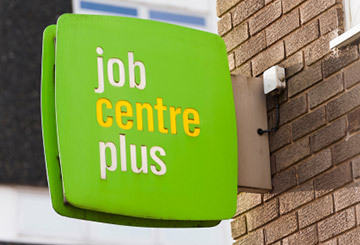 It would seem that each and every time that I get a new adviser¹ at the Job Centre², the requirement for filling in the job search changes. I’m not certain that they even have a standard. In the past I have been told I provide too much detail and not enough detail, that I need to be applying for more jobs, and that I make them look bad by applying for too many jobs. I have been told that I need to use Universal Jobmatch†, and also that it’s optional, and indeed on more than one occasion, that I shouldn’t be using it. Right now, I don’t think they know either. So today I’ve been told to renew my practice of listing every job I apply for. I used to do this by keeping/listing the important headers of the email replies I get. This of course can be a lot, but it’s less than the entire email. Even so, it’s a lot. One adviser told me that I should email it so that they could print it out there³. It came to a point where I’d have to print it half size/double sided (i.e. 4 pages per A4 sheet). There were sometimes a lot of sheets. I am sure that next time… I have a new adviser in a couple of weeks, that I’ll be told to do something different. I can’t wait to see what hoops they’ll have provided for me to jump through. Still, one must do as they ask, or else they stop the benefits entirely and that’s suboptimal. Even I need to eat. ¹ For extremely low values of advise, often wildly inaccurate and/or bordering on the criminally negligent. ² Nope, they are not for finding jobs, they are places where unemployed people are forced to undergo ritual humiliation in order to get enough to live barely survive on, and often to be sanctioned if the adviser (see above) doesn’t like your face, clothes &c.
³ The result of this was that the email would bounce due to being too big for their inbox. I’d only send it as plain text, with no attachments, but it still got big. † Universal Jobmatch is a system related to the ritual humiliation above where job seekers are pushed into revealing identifying information to scammers and identity thieves in order that they can monitor your job searching and find excuses to sanction you. Previous Post: On restaurants and smartphones.